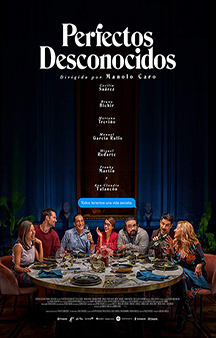 MOVIE SYNOPSIS: When a group of best friends get together during a lunar eclipse to share an intimate dinner in the tasteful house of Eva and Antonio, they suspect it's just another typical night until the hostess proposes a game. All guests must lay their cell phones on the table and read aloud all incoming messages and answer all incoming phone calls in front of the entire group. What begins as a provocative party game quickly becomes a wild ride.